Home Affairs Minister Carm Mifsud Bonnici resigned this evening after losing a no confidence vote, with Nationalist MP Franco Debono having voted with the Opposition. The prime minister told a press conference that he had accepted the resignation and thanked Dr Mifsud Bonnici for his loyalty, service and dedication to the people and the government. 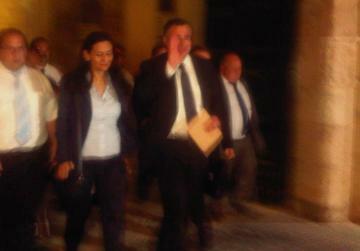 Carm Mifsud Bonnici waves as he leaves the Palace this evening. A small crowd cheered and shouted 'Kuragg Karm'. Dr Gonzi said he was assuming responsibility for home affairs and local government while Foreign Minister Tonio Borg is also Leader of the House. Dr Gonzi said he had also requested a vote of confidence in the government. The debate will be held on Monday. 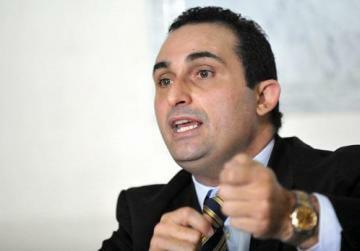 Dr Mifsud Bonnici said he was not surprised by the vote and had expected it. The motion of no confidence in the minister was approved with 35 votes in favour and 34 against as Dr Debono rose with the Opposition MPs to back the motion, while the other government MPs sat in their chairs. There was complete silence in the House as the votes were counted. 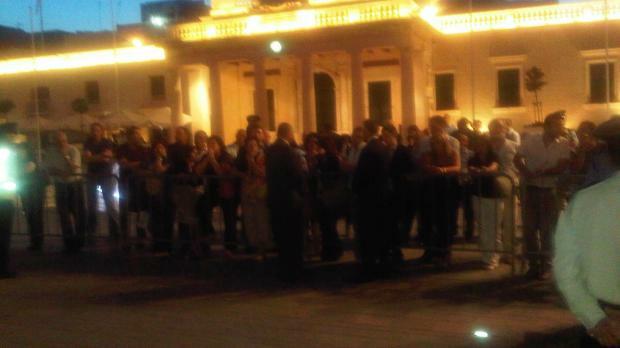 After the vote Dr Debono did not comment, telling journalists "Ask the prime minister". He immediately left the Palace. The prime minister immediately went into a meeting which was attended by the remaining members of the government group. Dr Mifsud Bonnici was made a minister four years ago, after the 2008 general election having previously served as parliamentary secretary. It was the first time in living memory that a minister lost a confidence vote. Last year Dr Debono abstained in a confidence vote against Transport Minister Austin Gatt. Dr Mifsud Bonnici was stony faced as the votes were counted. His wife, who was in the Strangers' Gallery, made no reaction. Dr Debono had repeatedly criticised every aspect of Dr Mifsud Bonnici's management of the Ministry of Justice and Home Affairs, insisting that the minister needed to pay the price for his failure to bring about reforms in various areas. In November Dr Debono presented a motion listing 22 areas which needed to be reformed. The motion was never brought up for debate. Nationalist MPs Jeffrey Pullicino Orlando and Jesmond Mugliett were not present for the Prime Minister's press conference but Dr Gonzi said they had been contacted on the phone and agreed with his decision to call the confidence vote. Born in 1960 and educated at St. Aloysius' College, De La Salle College and the University, Dr Mifsud Bonnici graduated as a lawyer in 1984. He was active in student organisations and later in the PN's youth movement and has been elected to parliament since 1998, taking over the seat which used to be occupied by his father Ugo. In April 2003, he was appointed Parliamentary Secretary in the Ministry of Justice and Home Affairs and in 2008 became minister.